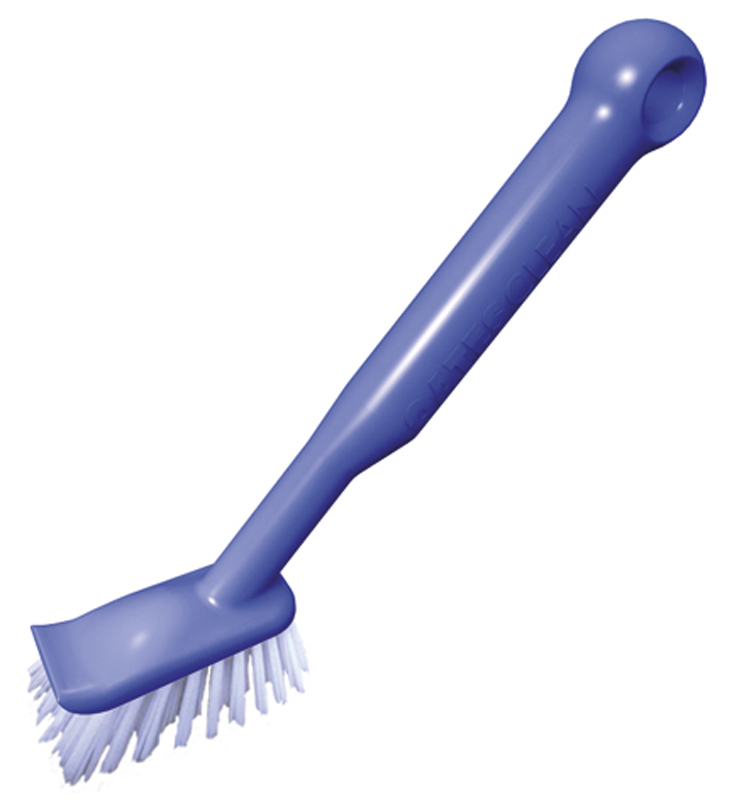 Polyester fill dish brush. Stiff, hard wearing bristles. It floats making it easy to find in soapy water. Front scraper removes built up grime.